I’ve looked at lots of different bread replacements such as almond and flax buns, peanut butter bread and minute muffins. 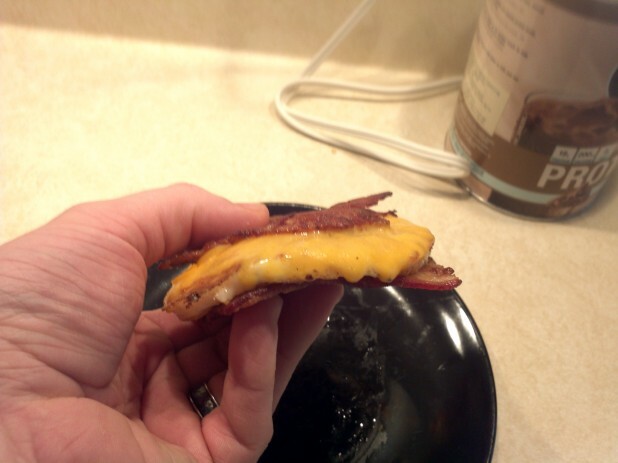 Another twist is to use meat in place of bread like in the meatza. 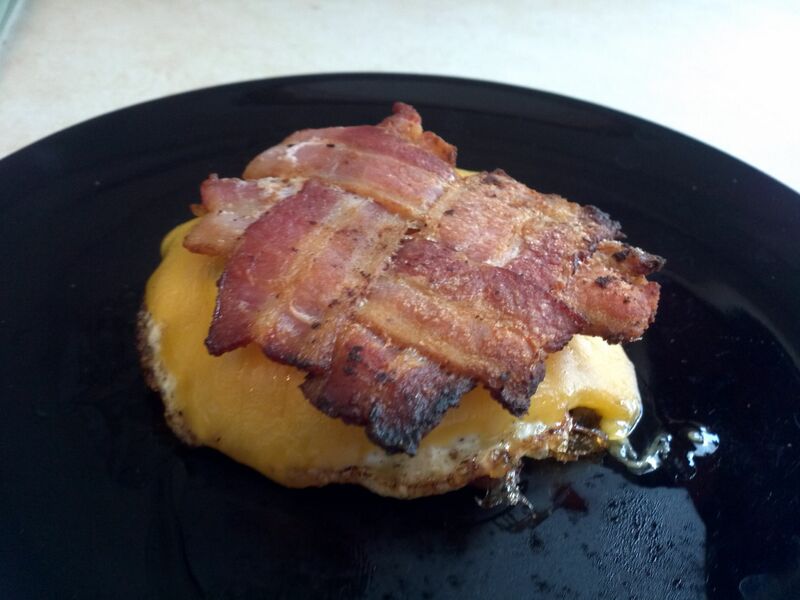 This takes it a bit further and uses a bacon weave as the basis for a breakfast sandwich. I’ve made weaves before for breakfast but I didn’t have all of the tools at the time to make a really solid sandwich. Now that I have my cast iron griddle and my bacon press, I am all set to make a perfect breakfast bacon weave sandwich! Here is the finished sandwich; man do I love bacon! Start with four slices of bacon. Cut them into three equal sections, you will now have 12 mini slices of bacon. 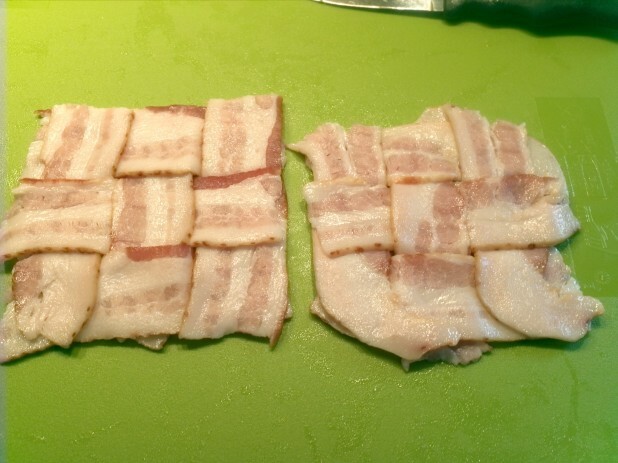 Weave the 12 pieces into two bacon weaves. You want to buy thick, even bacon. Also, make these weaves really tight because you want a solid surface for your “bread”. 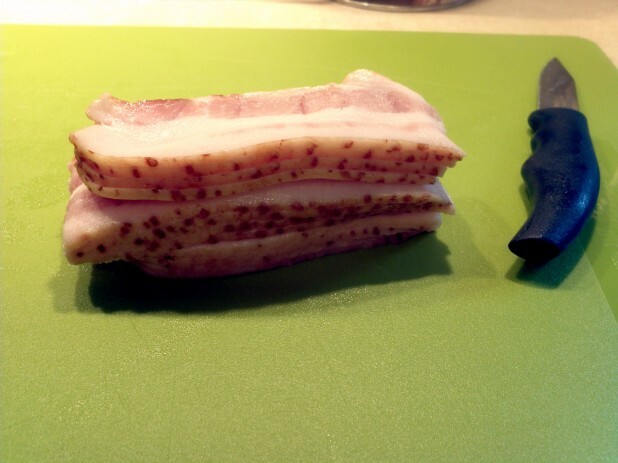 The bacon will essentially glue together during cooking if it is placed really close like this. Here are our tools. 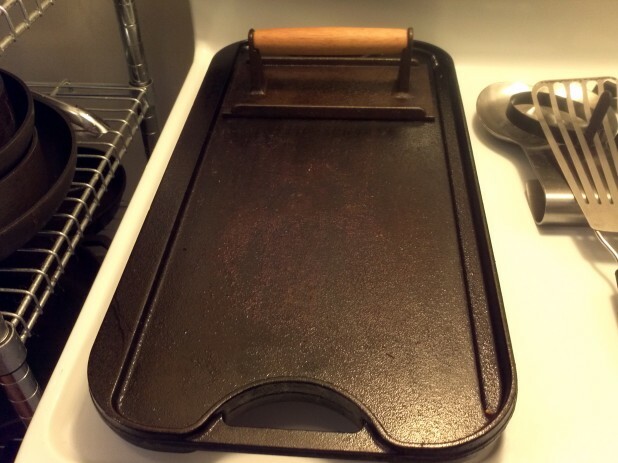 We will be using the cast iron griddle and a bacon press. 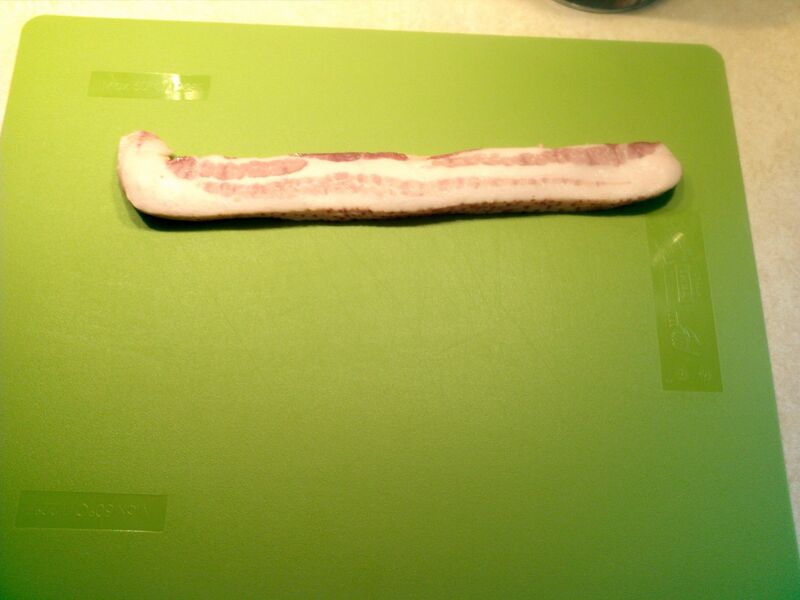 Additionally, I use a fish spatula to help in manipulating the bacon weaves but anything should work. 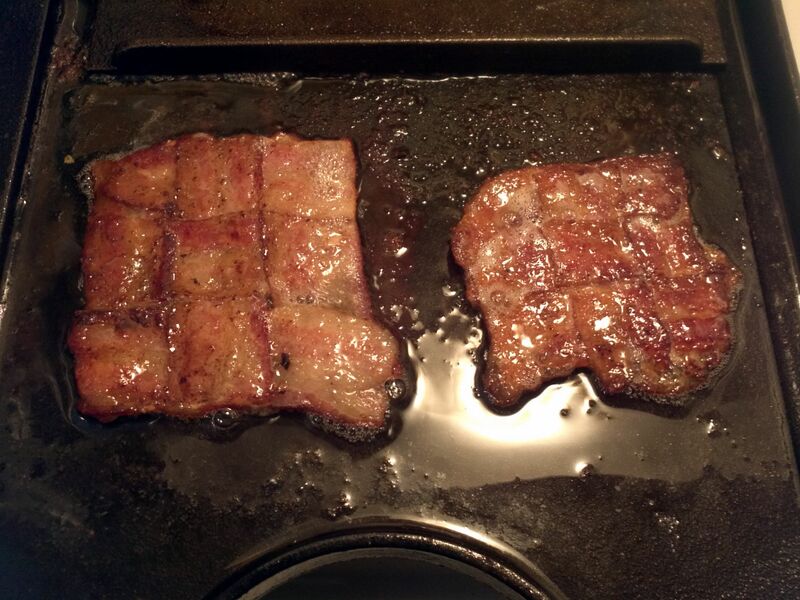 You can also cook the bacon in a regular skillet, its just harder to get it all to line up with the bacon press. 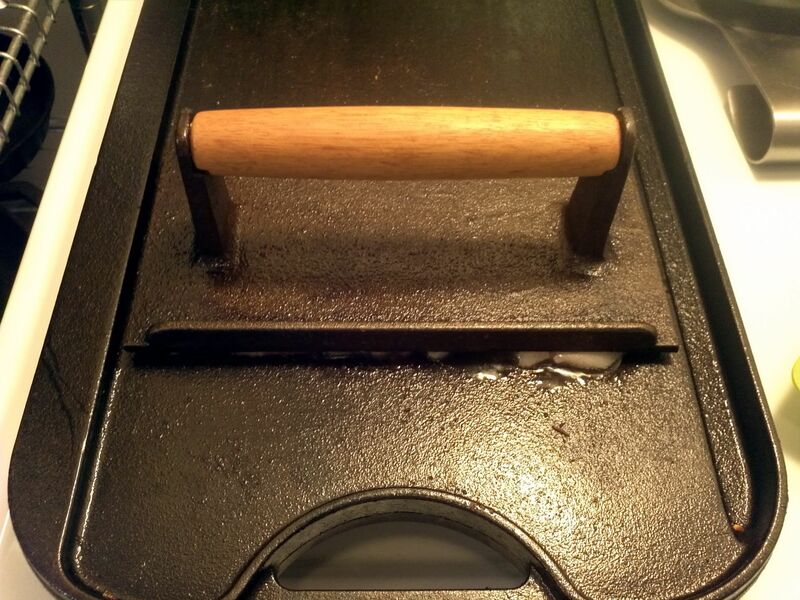 I don’t think you can do this without a press because the bacon won’t lay flat and glue together. I set both burners to low and preheat the griddle AND the bacon press. It is sitting on the back there so it actually gets hot as well to cook from both sides. Transfer the bacon weaves to the griddle. 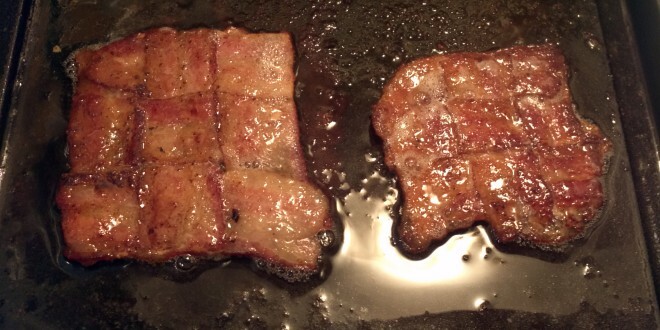 As you can see, the press perfectly covers the two bacon weaves. 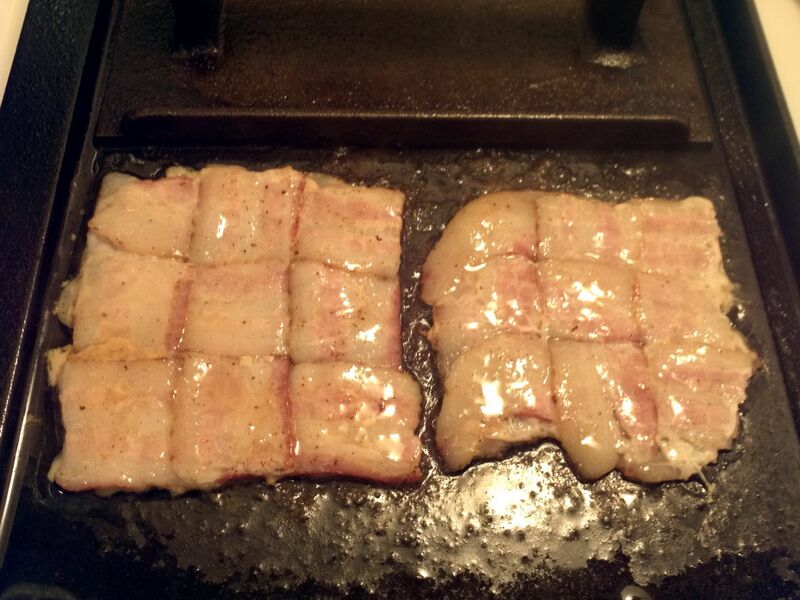 Here is the bacon weave in progress. 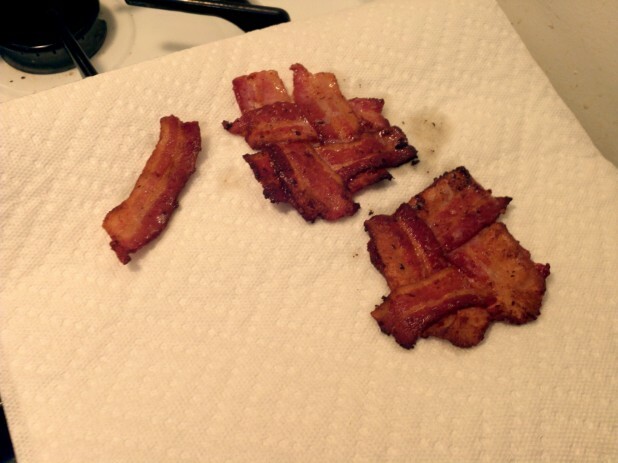 You can see that with the press the bacon stays uniform and is starting to “glue” together. A big advantage of using a griddle is multitasking. 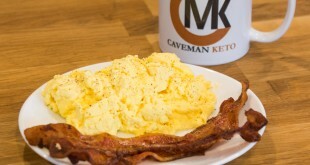 You can cook your eggs at the same time as the bacon. A lot of people have been talking about making either the almond or flax buns using egg forms instead of the muffin top pan. I bought some to try it out. First though, I’ll use it for what its meant for, eggs! 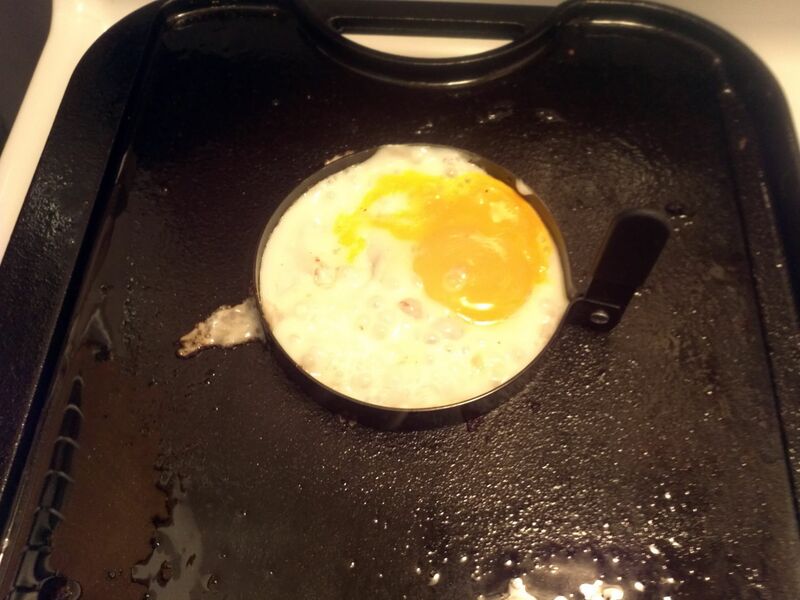 Notice the bacon grease making a seal with the egg form. 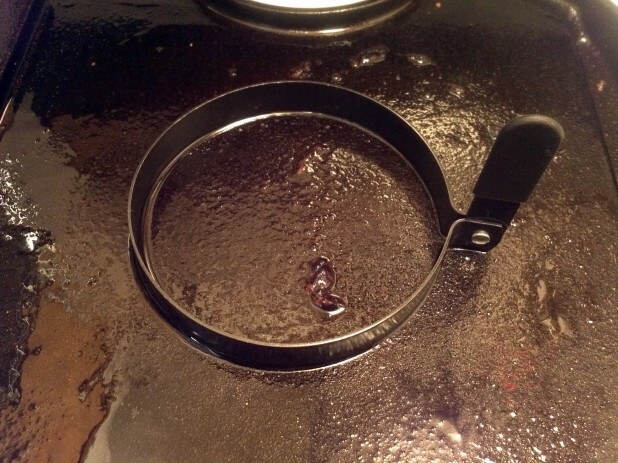 This is important so that the egg doesn’t all seep out under the form. You also want to preheat it a little. Here it is in action. Unfortunately my yolk broke during the cooking process 🙁 However you still get the point. Next time I would break the egg into a prep bowl first to make it easier to drop in. 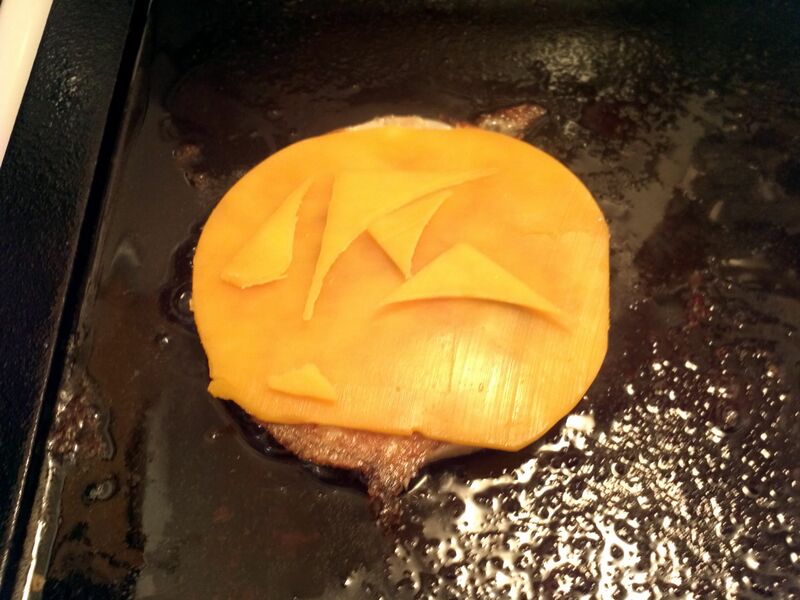 Just for kicks I used the egg form to cut out the cheese so it fit perfectly. 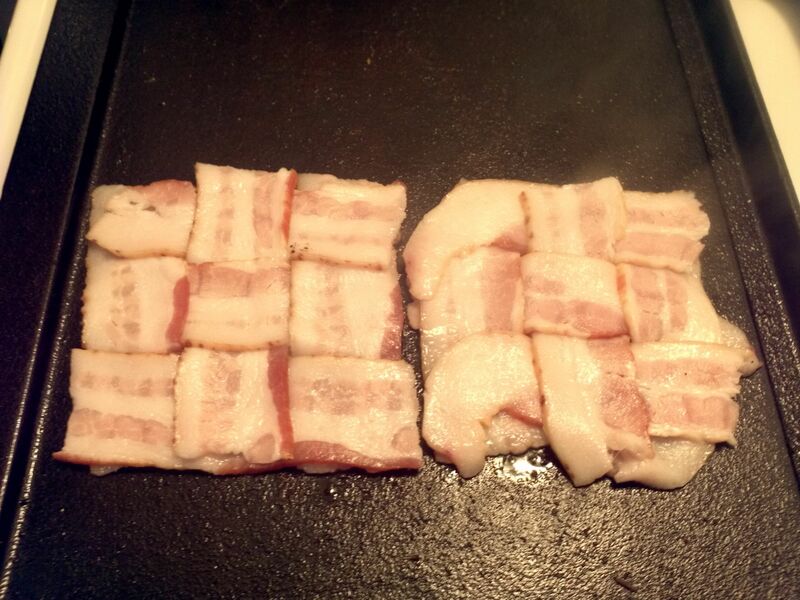 At this point your bacon weave should be done. 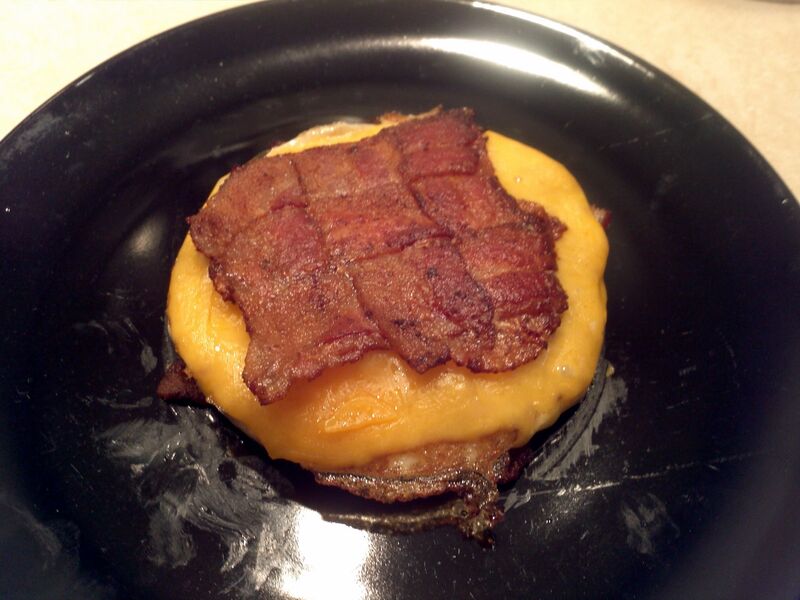 With the bacon I have one half is a little smaller than the other and this comes across on the weave. But you can see the bacon is perfectly flat and has pretty much merged into one cohesive piece. And there you have it! A completed Bacon Weave Sandwich! If you want a little less bacon for caloric purposes, you can make 2×2 sandwiches. Sounds perfect for a breadless BLT.